The Ancient World’s most famous City! Located, on the Mediterranean Sea, Alexandria is Egypt’s second largest City. Alexandria is a great City, so much so that many, many Egyptians choose it for their own vacations. In Ancient Times, Alexandria was one of the most famous of all the cities in the World. 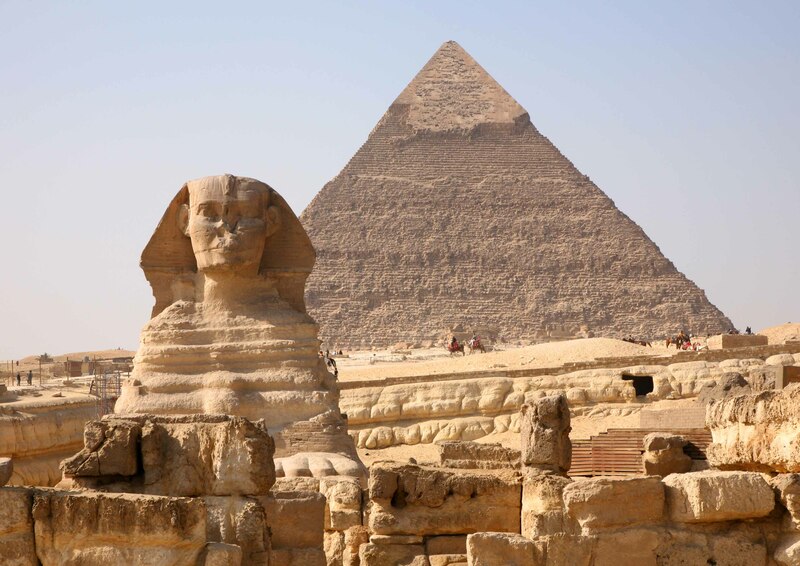 Founded by Alexander the Great in 331 BC it remained Egypt’s Capital for over 1000 years. 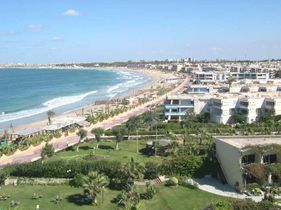 It has a fabulous, almost never ending promenade, where you can walk or take a step down onto the clean, soft sandy beaches, alongside the Mediterranean Sea. The Catacombs: This is the largest Roman cemetery in Alexandria. The three levels are cut 30 meters deep into the existing rock. 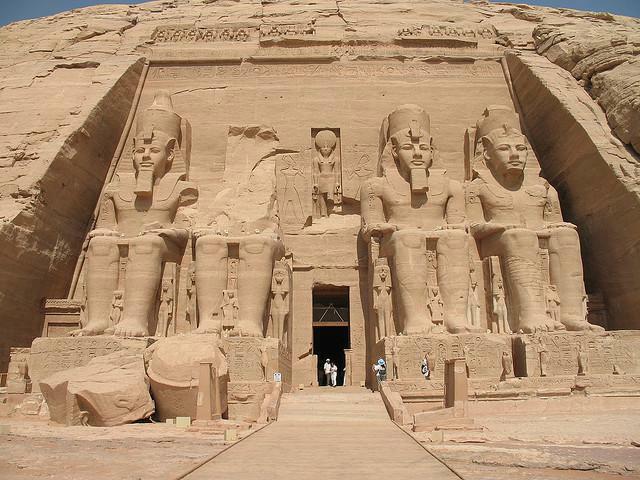 Dating to the beginning of the Second Century AD, it is a blend of Pharaonic and Roman art. 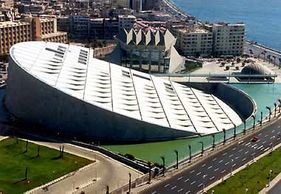 The Royal Library of Alexandria: part of a museum and library modeled after the Lyceum in Athens, was the largest library in the ancient world. Originally founded in 283 B.C.E. as a temple of the Muses, the Musaeum (where we get “Museum”) included lecture areas, gardens, a zoo, and religious shrines. Roman Amphitheatre: Located downtown at Kom al-Dikkah the Roman amphitheatre is unique in Egypt. Discovered in the early 1960′s while laying the foundation of a new building, the Amphitheatre has twelve semi-circular marble tiers in remarkably good condition. Greek-Roman Museum: This museum houses collections of rare Greek and Roman relics and coins – about 40 thousand pieces in total. The collection ranges from the Third Century B.C. to the Seventh Century AD, including the “Tanagra” collection. Montazah Palace and Gardens: The Royal Palace was built as a summer retreat by Khedive Abbas II between 1892 and 1914. Abbas II was the last Khedive Ruler of Egypt, under the Ottoman Empire. Designed by the Greek Architect Dimitri Fabricius Pasha, the Palace itself is an architectural delight with mixes of Ottoman and Moorish influences coupled with a Florentine flavor. The tower was styled on the famous Palazzo Vecchio in Florence. Last used as a Royal Palace by King Farouk, the gardens surrounding the palace are simply outstanding. Pompey’s Pillar: This granite pillar is over 25 meters high. Built amidst the ruins of the Serapium in 297 AD in honour of Emperor Diocletian, it is the most prominent remaining Greek landmark in Alexandria. Only a few hours from Cairo, Alexandria is easy to reach by road, rail or air. 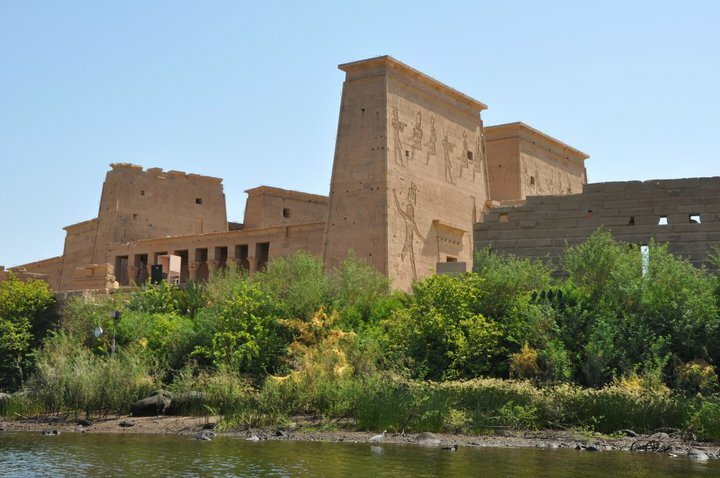 If you are arriving into Alexandria, or Port Said, on a Cruise Liner why not take one of our shore excursions of Alexandria (if you have only one day) or a two day shore excursion of Cairo and Alexandria if you have a little more time. to book your tours of Alexandria, our highly skilled qualified and licensed Egyptologists will make sure that you will not be disappointed!